Corning has announced that the first smartphone flaunting the strong Gorilla Glass 4 will be Samsung’s metal phone, Galaxy Alpha. Corning has implemented the most resistant technology in its latest iteration of Gorilla Glass which will now add to the list of 4.7-inch Samsung Galaxy Alpha features coming as a strong contender against Apple’s smartphones. 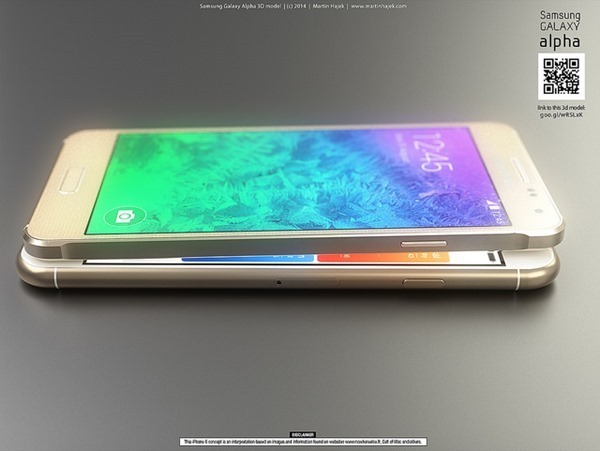 Samsung is putting the 4.7-inch Galaxy Alpha as the direct competitor of iPhone 6. With the latest resistant properties of thinner but tougher Gorilla Glass 4, Samsung Galaxy Alpha might just be able to prove its worth with all its metal, thinner profile, and powerful specs like Sammy’s in-house Exynos chip and cat 6 LTE. Device is under 7mm thick offering a slim profile. While Samsung may aim Alpha at iPhone 6, it is still a mid-range device. 4.7-inch 720p resolution Super AMOLED screen, 12-megapixel primary shooter and a 1,860 battery with a complete metal design might attract Sammy fans, but it is unlikely if it would bring any fans of Apple on board.